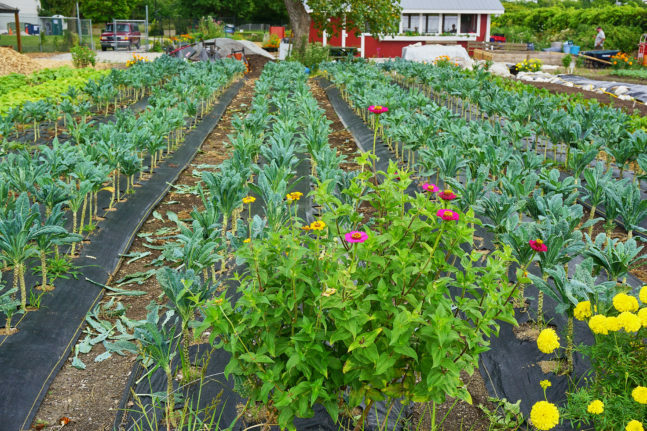 The Talking Farm is an urban farming and food education nonprofit, and it is holding a dinner for 50 on Sunday, September 10. The dinner will take place on the farm in Skokie — a near-in suburb on Chicago’s northern border — and will feature Chef Brian Huston of Boltwood restaurant in nearby Evanston. 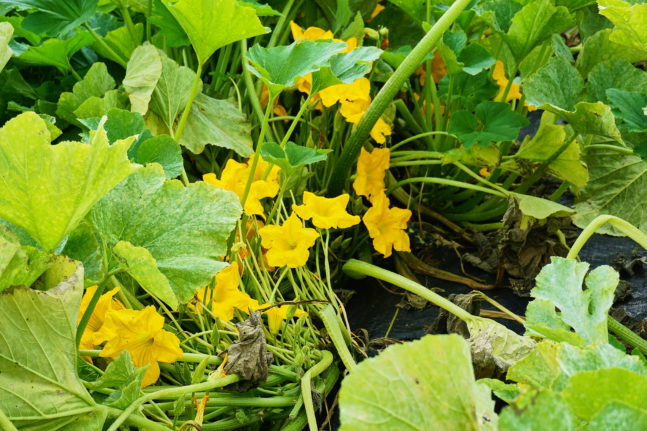 Farm dinners have become a popular facet of “agritourism,” with farms working with chefs to bring “farm to table” dining back to the source. Dozens are held each year just in the Chicago food region alone. But most of the participating farms are well out in the country, requiring a day trip or an overnight stay. The Talking Farm is located at 3669 Howard Street in Skokie, Illinois, just north of the city of Chicago. 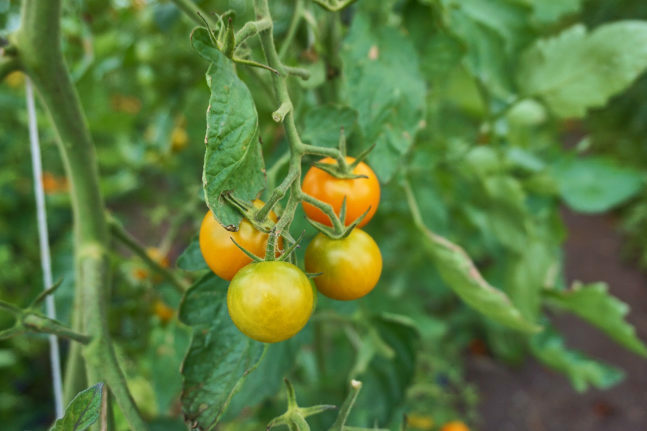 FamilyFarmed recently toured The Talking Farm with Farm Operations Manager Matt Ryan to learn more about its prolific produce growing and its satellite gardens at local schools. Matt started working at the farm in 2012, shortly after he graduated from the Sustainable Urban Agricultural Certificate Program run by the Chicago Botanic Garden’s Windy City Harvest program. 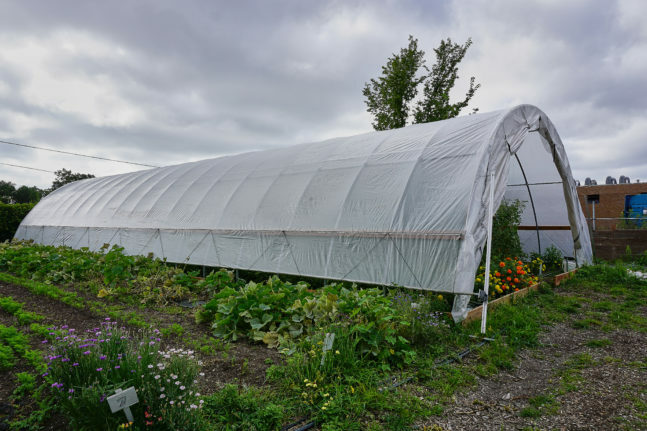 One of the two hoop houses that The Talking Farm obtained with funding from High Tunnel System Initiative, a program of the U.S. Department of Agriculture’s Natural Resources Conservation Service. The success of the farm can be measured in tonnage. 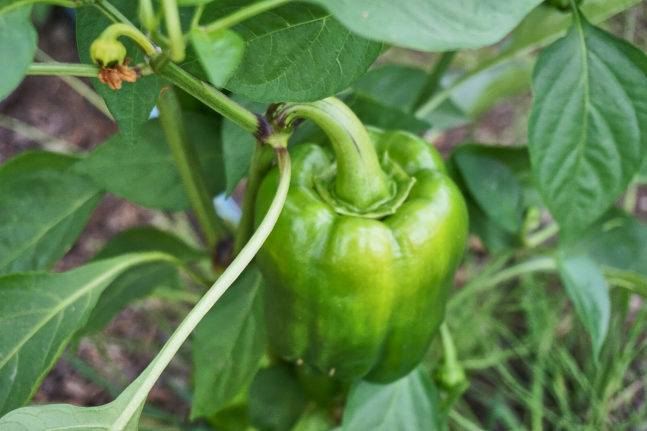 With about a half-acre currently in production, Matt said about 15,000 pounds of produce were harvested last year, with the haul expected to rise to somewhere in the neighborhood of 20 to 25 thousand pounds this year. 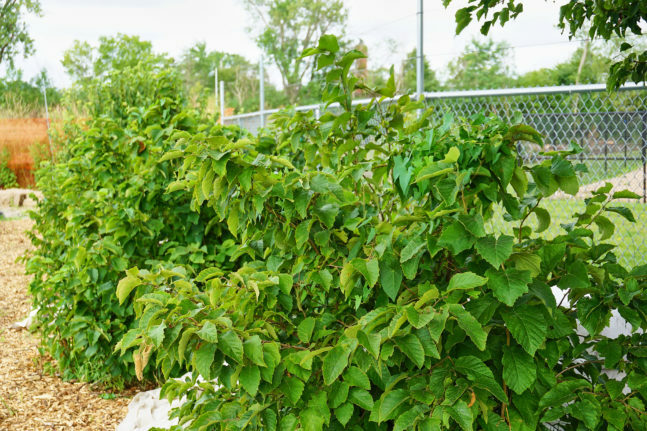 These hazelnut bushes are recently planted features at The Talking Farm, which is adding more fruit and nut production to its wide range of vegetable growing. 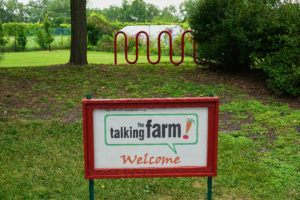 The Talking Farm is so serious about its educational efforts that Matt and Susanna Lohmar, the Assistant Farm Operations Manager, obtained accreditation as high school teachers — enabling them to teach a four-credit summer class on the farm. 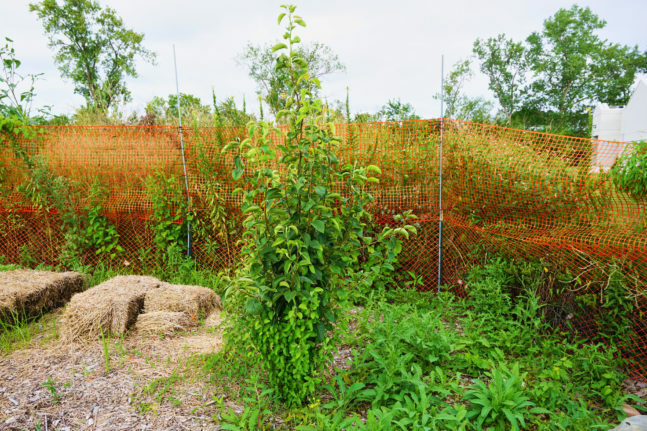 The Talking Farm also created and helps maintain The Edible Acre, a food garden at nearby Evanston Township High School. Another school with which The Talking Farm works is all about proximity: Its next door neighbor is a pre-school called the Tot Learning Center. “They love it, they love the flowers, they love the colors, they love walking through the hoop house,” Matt said of the pre-school kids. “They won’t even know this is not the norm” currently in our food system. Matt also said he is struck by how much more these very young eaters know about Good Food than most adults — including himself — knew until just recently. 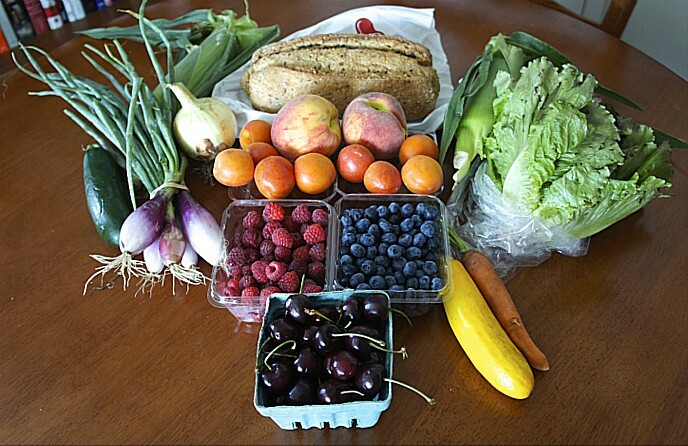 “They know the term ‘organic,’ they know words like ‘fresh.’ I didn’t know what organic was until probably 10 years ago. I didn’t grow up learning what organic food was.” The pre-school has built on the relationship by converting its school food to organic produce. Older kids are even more deeply immersed in the Good Food culture in which they grew up. “We work with a lot of high school kids, they’re hip to most of the issues when we do discussions with them, they know the buzzwords, some of the most familiar themes of what we’re doing. Whereas I had no idea about this stuff in high school. I grew up in Evanston, I didn’t grow up in a rural area. I think it’s going much more to the forefront of people’s minds,” Matt said. 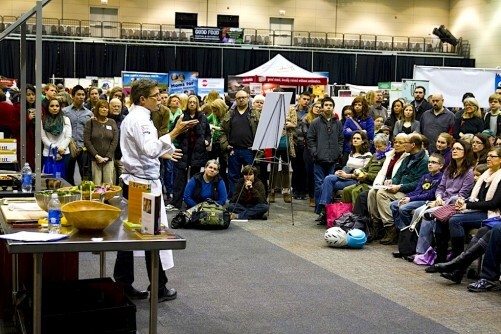 Matt also confirmed something we have been told by every other food education program that works with school children: that they take the lessons they have learned about the vegetables and fruits they have eaten home to their parents. And this is an even bigger deal when the kids have grown the food themselves. 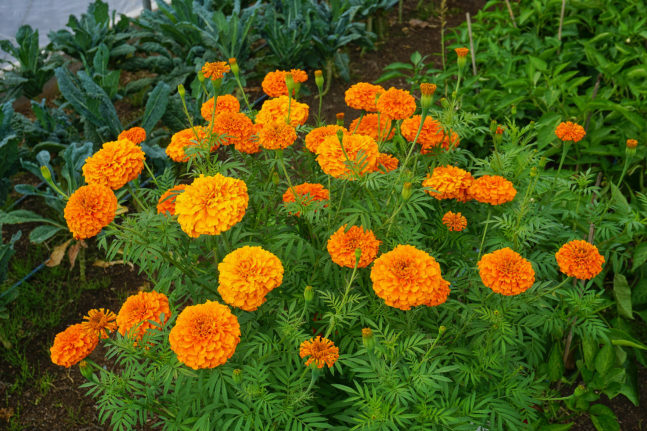 Marigolds and other flowers add bright splashes of color at The Talking Farm. This entry was posted in Agritourism, Child nutrition and health, Farm businesses, Farm to table dining, Food and community, Food education, Healthy eating for children, Local Food, Restaurants and Good Food, School food, School gardens, Small Farmers, Sustainable food education, Urban farming, Young farmers and tagged agritourism, Boltwood restaurant, Brian Huston, Chicago Botanic Garden, FamilyFarmed, Farm dinners, Food education, High Tunnel System Initiative, Natural Resources Conservation Service, The Talking Farm, U.S. Department of Agriculture, U.S. Environmental Protection Agency, Urban agriculture, Urban farming, Windy City Harvest. Bookmark the permalink.